Qualifying first-time home buyer distributions won't be hit with the extra 10 percent tax. 3. Can I Avoid an Early Withdrawal Penalty for Building My House? To discourage distributions from individual retirement accounts before retirement age, which the Internal Revenue Service sets at 59 1/2 years old, the government assesses a penalty for early withdrawals. One exception to the early withdrawal penalty on IRA distributions is the purchase of a first home. Though it's usually not wise to raid your retirement funds, the early withdrawal exception could allow you to make a larger down payment on your home. For the purposes of IRA distributions, you're a first-time home buyer if neither you nor your spouse has owned a main home within the two years before purchasing the new home. For example, if you owned a home, sold it in 2009 and were buying a new home in 2014, you'd qualify. The distributions can be used either for the cost of actually buying the home or for settlement, financing and other closing costs. You're limited to a total of $10,000 in distributions over your lifetime under the first-time home buyer exemption. The lifetime limit exists not only because you can qualify as a first-time home buyer multiple times, but also because you can use the exception on a child, grandchild, parent or grandparent, if that person qualifies. For example, if you used the exception for $6,000 on your first home and then when your grandchild was buying her first home, you wanted to use the exception for her, you could use your remaining $4,000. The effect of a distribution from a Roth IRA for a first home depends on how long the Roth IRA has been open. If you've had the account open for at least five years, the distribution counts as a qualified distribution, so up to $10,000 is tax-free. If you haven't had the Roth IRA for at least five years, you can use the exception to avoid the early withdrawal penalty on up to $10,000 of earnings, but the earnings will still be taxable. Traditional IRA distributions are taxable and, unless you're 59 1/2 years old, subject to an extra 10 percent tax penalty. However, if you qualify as a first-time home buyer, you avoid the additional tax, but not regular income taxes, on your distribution. For example, assume you're not yet 59 1/2 years old, that you pay a 25 percent tax rate and that you take a $10,000 distribution for your first home. 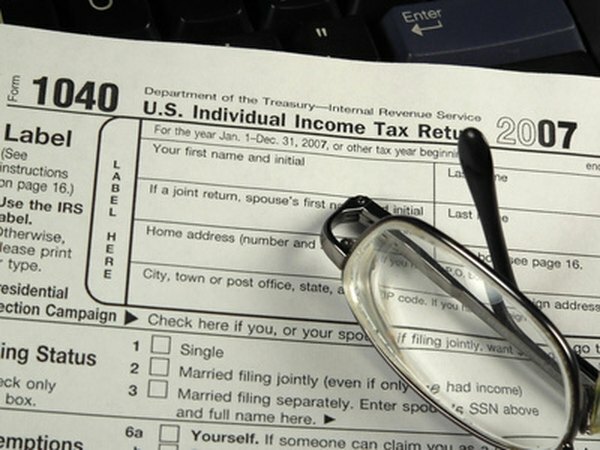 You avoid the 10 percent additional tax, but you'll still pay $2,500 in income taxes. Does Taking Money Out of Your IRA to Pay Off Your Home Incur a Tax Penalty? Can I Withdraw Funds Without Penalty if I Roll 401(k) Funds Into a Roth IRA? What Is the Penalty for Closing My IRA? When Are Early Distributions From an IRA Not Taxable?